This area started with a single brick path and now look…one beauty of a stone path. 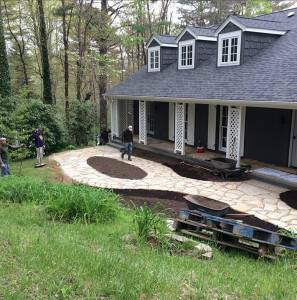 It’s a mountain garden under construction that already takes your breath away here in North Carolina. Thank you Black Bear Landscape. How do you picture your ideal walk space outside? Call 404-231-3889 or click here to book your free, 30 minute consultation with Dargan Landscape Architects.